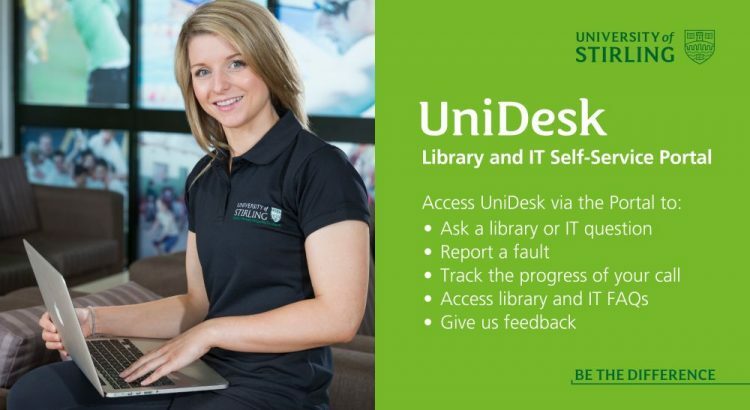 Over the summer, however, we’ve been working hard to transfer a lot of the information from our website into the UniDesk Self-Service Portal in order to make it easier to find. We’ve also transformed our content into bite-size chunks rather than lengthy web pages. We now have a massive FAQ database and lots of forms to request standard services from Library and IT.